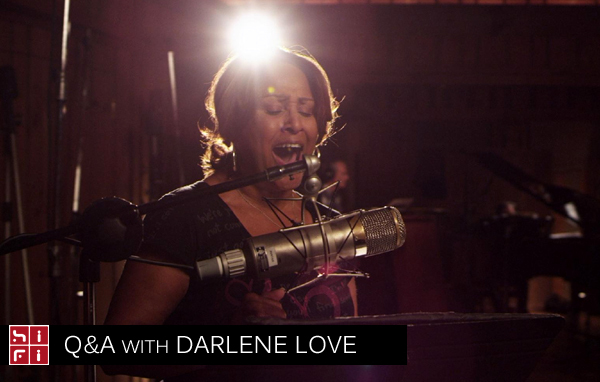 Darlene Love is used to the spotlight. She’s sung behind some of the greatest superstars in music, from Elvis Presley to the Beach Boys to the legendary Phil Spector. But lately the light has been shining increasingly bright on her. Not as a backing vocalist, but as a powerhouse front-runner. She’s just one of the Power Point presentations used in the Morgan Neville-directed documentary Twenty Feet from Stardom, a film based on the untold stories of backup singers and the frustrations they often endure while serving behind their superstar friends. The lives of Judith Hill, Merry Clayton and Lisa Fischer are told wonderfully, but Love – born Darlene Wright – becomes the film’s centerpiece for an obvious reason. She’s considered one of the firsts of the backing vocalist genre; she also learned the secrets of the industry from one of the very best. Whether she was working as a member of the Blossoms, the Crystals, Bob-B-Soxx & the Blue Jeans or singing the lead vocals without getting proper credit, Love made her mark on the world of girl groups. Because of her involvement with such rock ‘n roll treasured classics like “He’s a Rebel,” “(Today I Met) The Boy I’m Gonna Marry,” “He’s Sure the Boy I Love” and “Da Doo Run Run,” Love has often been dubbed as the voice of Phil Spector’s Wall of Sound. It’s not a dubious claim, especially since she’s appeared on a host of Spector-produced classics, including the holiday classic “Christmas (Baby Please Come Home),” which Rolling Stone as coined the “greatest Christmas song of all time.” And for twenty-seven years straight (since 1986), the singer has showed off the timeless jingle bell rock anthem on David Letterman’s late night program. Love’s catalog is certainly river deep, mountain high. She’s sung behind Dionne Warwick, she rocked arenas with The Boss, backed Elvis (and was even romantically teased by the King, although his efforts failed) and sung on plenty of albums including Joan Jett, Aretha Franklin and the r&b perfectionist Luther Vandross. 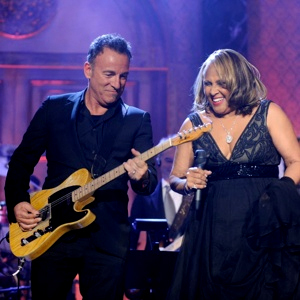 When she was inducted into the Rock and Roll Hall of Fame in 2011, Love thanked four specific musicians in helping her along her path to success: Phil Spector, Steve Van Zandt, Bruce Springsteen and Luther Vandross, who she specifically claimed “wouldn’t enter into a studio without me.” Since her induction into the Hall of Fame, something Bette Midler claims was long overdue, the ball has been rolling ever since with new opportunities, TV time and new projects. Love, 71, is getting a new lease on life. Last month, she was awarded with a feature story in Rolling Stone and she’s even gone back into the studio to produce new music just for the documentary’s soundtrack. Last year, she spoke with me about her career as a backing vocalist, her connections with some big first-name legends (Aretha, Dionne, Luther), the Hall of Fame and more. She also opened up about the loss of her goddaughter, Whitney Houston, who was found dead in her hotel room in Beverly Hills one day before the 54th annual Grammy Awards. Q: Of course your career spans back to a very special time in rock history. The day you filled in on the Phil Spector session for “He’s a Rebel” that was originally designed for the Crystals, ended up being performed by you and the Blossoms. But the Crystals got the credit. Although that was an event changer for you, I’m curious to know if that kind of routine was common practice in those times. A: Oh sure. We did a lot of that as the Blossoms, as background singers. I cant even remember half of the things that we did when a writer would come in and they would go, ‘Oh, we need someone to record this’ and they would just put a name on it. And then another group would go out as that group. Not that they couldn’t sing, but say – the group wasn’t formed yet. Although, the thing with the Crystals, they were already a group and Phil Spector figured he could get more mileage out of the Crystals having their name placed on ‘He’s a Rebel’ rather than mine. Because I was an unknown person. Back in those days, I was just a background singer and I had been doing things like that for a couple of years when Spector came along. So it didn’t really bother me that I didn’t get the credit because I knew going in that I was not going to get the credit, so that made a big difference. It would’ve made probably a bigger difference if I had known that it was supposed to be Darlene Love’s record and I didn’t get the credit. But I wasn’t even Darlene Love yet. I was just Darlene Wright. Q: Where did the stage name ‘Love’ came from? Phil Spector. He asked me if I had loved the last name ‘Love’ and he knew a of a gospel singer called Dorothy Love Coates. That’s where the name came from. And he actually asked me and I said why not. Q: You originally sung the lead vocals on “Da Doo Ron Ron,” but was unfortunately re-recorded with Dolores Brooks (of the Crystals) performing the lead. Did that anger you? That angered me. Oh yeah. That did anger me. Because what he did, he didn’t take my voice completely off the record. He just put her voice on top of mine. Oh yeah (Laughs). If you listen to “He’s a Rebel” and listen to “Da Do0 Ron Ron,” you can tell there’s two distinctively voices, unless something wrong with peoples’ ears. You can tell that’s not the same voice. She has a lot of vibrato in her voice. I did not. And that’s why Bruce Springsteen called me the voice of the Wall of Sound, because my voice was the only voice that really could stand out of the Wall of Sound. He couldn’t bury my voice like he buried the Ronnettes, the Crystals, you know, whoever else he recorded. He just couldn’t bury my voice. It stood out. Q: Did you feel that Spector was trying to engulf a girl-group competition with the groups he signed to his label and that he worked with? I don’t that’s what he was doing. He was trying to make his name big. He wasn’t thinking about what he was doing. He was thinking about Phil Spector, the mass producer of the Wall of Sound. He was trying to make his name famous, not his groups. Q: You were born and raised in California and did much of your work with Spector in his L.A. studio. Right? That’s where it all was done. I did all my recording for him in Los Angeles. Q: When did you decide to move out east? That was during the day when I almost totally stopped doing background, but when Luther called, I went. Because his sessions are always so much fun. And you know, I loved and adored Luther because – I think its because Luther also was a backup singer for years before he became famous. And it was such a joy working for him ‘cause you never knew what we were going to be doing. Q: You sung with the late Luther Vandross on many occasions, normally as a background vocalist, but on one occasion, you sung a duet with him on his Christmas album. How were you first approached by Luther Vandross to participate on his albums as background singer? Actually it was a friend of his, David Lasley. [He] was a big fan of mine. And he wrote a lot of songs. James Taylor – David is one of his backup singers. Still today, he’s one of his backup singers. Funny enough Luther knew who I was. After we met one another, he told me he used to watch me and the Blossoms on Shindig. Now that was back in the Sixties. (Laughs) You figured if he knew about me in the Sixties, we did Shindig in 1964, ‘65. I didn’t meet Luther until the Eighties. Cause Luther was doing his background stuff back during those days. He was just another person watching television. But I did not meet him until the ‘80’s. And David Lasley I knew and he just said he was doing a session with Luther and would I like to do it. And I said heck yeah. And that’s how I actually met Luther Vandross. Through David Lasley. Q: Background singing was almost like a religion to Luther. Of course that is where he cut his teeth as a backing vocalist for acts like Bette Milder, Chic, David Bowie and Quincy Jones, but Luther was highly known in the music industry for being a perfectionist with his arrangement practices. Can you describe what it was like working with Luther? Sometimes it was scary. Like you were saying, ‘Lord I sure hope I get this right.’ And I don’t know why because he was a very funny guy. I mean, he wasn’t hard on you. But you didn’t want to be the one to stick out where he’d say ‘Alright, Darlene, now calm down a lil’ bit. Don’t do this.’ He used to do that to me. He was amazing…it could be ten singers in there, which mostly it was, but he knew every voice. And if I was singing with too much vibrato, he would say ‘Alright, okay Miss Darlene, calm that vibrato down.’ I didn’t know you could calm your vibrato down. It was Luther Vandross who showed me how to control my vibrato. Q: What was it like working with Aretha Franklin? I’m a fan but I’m also called to do a job. So I’m not called as if I was somebody off the street. They knew who they were calling when they called me. They knew I could do the job. So it always was a honor to do their background, because their calling you because they knew you could do he job, not because you are Darlene Love. That’s how we all became friends and all became backup singers. Even with Dionne Warwick – she started as a backup singer. All of us started out as backup singers, not as lead vocalists. Even though we had lead vocals in the groups; I was the lead for the Blossoms, Cissy was lead for the Sweets, but we were still a group. 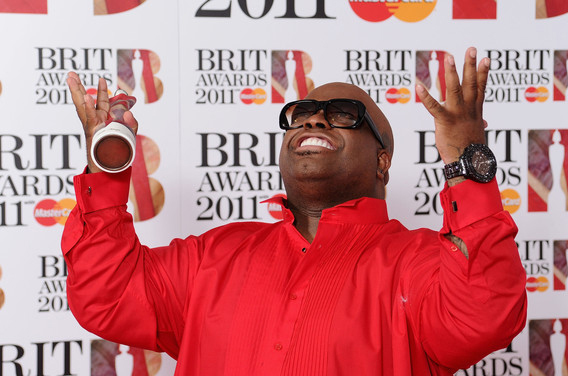 Q: When did you meet Dionne? I met Dionne in the Sixties. I was working with her as Bobby Soxx and the Blue Jeans in a show at the Brooklyn Fox in 1962. She was one of the entertainers on board and the Blossoms were entertaining too with The Murray K Show. And then Dionne Warwick asked – we had been singing with Tom Jones and after our contract ran out with him, Dionne asked us if we would sing with her while she was on the road. And we agreed. And then we started working with her and then the Blossoms broke up, and then Dionne asked me personally to come and sing with her, along with her sister Dee Dee and with Cissy. That is when I first met Cissy Houston. 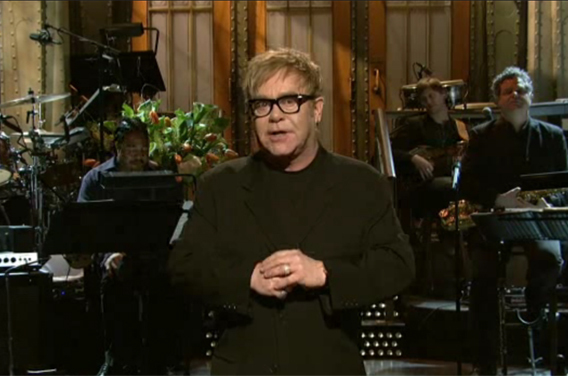 Q: I know it’s still a bit devastating on you and your family regarding the loss of Whitney Houston. Like Aretha, you were also Whitney’s godmother. How is she? Folk try to talk to her every day. You have to keep her spirits lifted up. She stays kinda tired. I’m trying to keep her spirits lifted. I don’t even wanna know how it feels to loose a child, let alone somebody like Whitney. But she’s doing okay, but this is definitely not the time to try to talk to her to do any interviews. She’s been going to church though, for the last couple of Sundays. Her church. It’s like she says, as long as they leave her alone and don’t be coming over saying, ‘Oh, how are you doing?’ and don’t be coming over asking how are you feeling. Just say hey, and just try to keep it as normal as possible, which is hard. But she has been going to church and she has a few people that are around her everyday that come down and see her, who come around and makes sure she’s eating – all those kind of things. Thank God for friends – that’s all I can say. I try to tell people all the time to make friends, you know. Try to make friends while everything is rosy and nothings wrong with you, because you’re going to need them later on in life. Q: With you being her godmother, how have you been dealing with her loss? Well you know, I’ve been dealing with it from a whole different angle. As a Christian person and with my relationship that I have with Jesus Christ, I know I will see her again. So that’s how I have to deal with it. The loss of her person being here is what you have to deal with, but knowing that you will see her again one day. We don’t grieve as a people who don’t have a hope. As Christians, we have a hope…that we will see our loved one again. And her music stays alive in me. That’s how I keep her alive. Knowing that her music will always be with us, like every great singer. Like going all the way back to singers like Nat King Cole and Sam Cooke, you have them with you all the time because you have their music. I’ll always say that her voice was a gift from God. 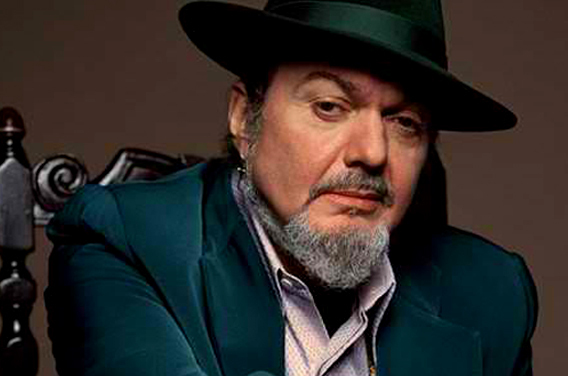 Q: We all know rock and roll has its trap and pitfalls. Spector unfortunately fell into a pitfall in his latter years. Whitney lost her life to many of the pitfalls. With over 60 years in show business, how did you overcome and survive many of those temptations? You know what – it had a lot to do with fear. Fear can be a wonderful thing and force at some times. I was very afraid of drugs. I didn’t want nothing to do with them. Give me my little cigarette, a glass of wine and I’m good to go. (Laughs) Other than that, anything strong that that…I tried weed one time and I went, “Y’all gotta be nuts to do this stuff. I don’t want no part of this stuff.” I always wanted control of my mind. I didn’t want my mind to be flying around somewhere I couldn’t control it. I think that’s the only thing I can give credit to, and give God credit to. And everyday, let me tell you, I thank God because as they say but for the grace of God go I. I get chills as I talk about it right now. It was the grace of God that kept me from doing that. 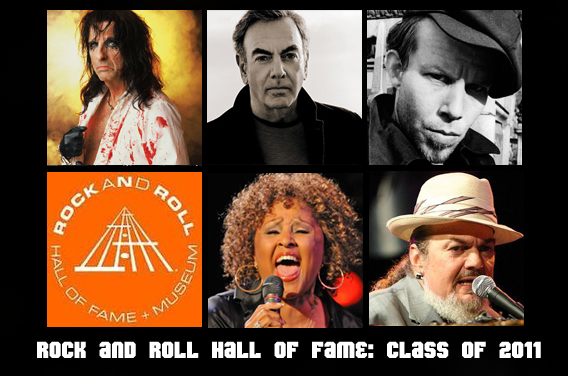 Q: You have finally been inducted into the Rock & Roll Hall of Fame. How does that feel? It feels fantastic. The whole thing is just to be honored by your peers. And that’s exactly what it is, because the people who vote for you are people who have already been inducted into the Hall of Fame. So it’s not your fans, I mean – your peers are your fans because I’m fans of theirs – but radio disc jockeys and record producers are the ones who vote for you to be inducted. So I feel fantastic that my peers would think that much of me to induct me. Q: Did you think that you would have been inducted at some point in your life? 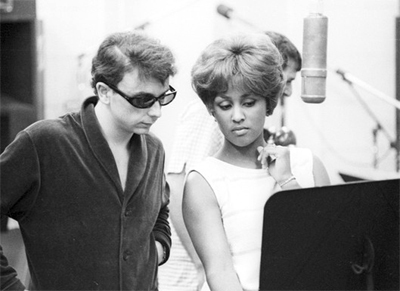 I thought maybe one day, because I had so much to do with the beginning of rock and roll because of Phil Spector. And so many people love his music and love what I did being a part of his music. They call me the voice of the wall of sound. So once Spector got inducted, I said, “Okay hmm, maybe one day it’ll be my turn.” And then the Ronnettes got inducted, I said, “Okay it’s getting close.” Then the Righteous Brothers got in, and I said, “Now it’s really getting close.” I never thought that I should be in the Hall of Fame, but I think it’s a honor for the work that you do to be inducted. That’s how I look at it. They really do appreciate what I’ve done over the years. Q: So many people consider the Hall of Fame to be a boys club and many times looks over the contributions of women in music. Do you feel that way? I do believe that, but it’s like everything else when it comes to positioning – men and women. In every field, not just the music industry, but it seems like we have to work harder to establish ourselves in all of these businesses before they go, “Hey, you know what, it’s a lot of women responsible for music too.” It’s a lot of women in sports, in every business you can think of that are head of companies. But it just seems like it takes a long time to get around to thinking that we deserve exactly what the men deserve. We used to laugh when we used to call it a men’s club. People would write about people not inducting women into the Hall of Fame and they would always say ‘this all male club.” And it’s not…because if it wasn’t for a lot of the women in music, I don’t think there would be a whole lot of diversities of music. 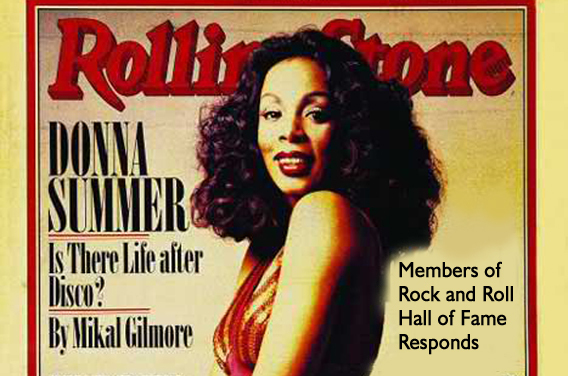 Q: Do you believe more women – or a fair balance of them – will get inducted into the Hall in the future? Yeah, I do. I think, you know, here it is we’re in 2012. The thing is getting nominated. That’s the hardest part. (Laughs) They would induct more women into the Hall of Fame if they were inducted. If you realize, when you see who we vote for, there’s not a lot of women on the ballot, just to nominate them. Because they have forty people that come in to do the nominating and they have five choices. Forty times five. And if they are pulling more males to nominate them than females, you’re doing good to get nominated. Now that there’s more women now like Gaga and Beyonce – they have to be in the business for at least twenty-five or thirty years. I think there’s going to be a major fluctuation of women getting inducted in the next ten years, because they are really dominating the charts today. I hope so because it’s almost like you have to have an advocate like I had. I had Bruce Springsteen and Steve Van Zant, people who were really advocating for me to get in. It’s almost like you have to go into these meetings and say okay, now it’s time for her to get in. (Laughs) I had a very big advocate behind me, so I can always give him the credit for being inducted into the Hall of Fame. He’s the greatest. Q: Do you get a chance to travel overseas? I’m telling, I have never did a gig overseas, except for Australia. Isn’t that weird? Well, we’re trying to get over there. Q: What’s preventing you from making touring internationally? It could be because I didn’t work over there back in the day, you know back in the Sixties and Seventies as Darlene Love. I worked over there as a backup singer for Dionne Warwick, Cher and Tom Jones. But I never worked over there as Darlene Love. I really want my fans to see me. They are really surprised that I don’t come over there and work. And then when I tell them, ”Well if you tell me someone to call, we’ll come over there.” We can’t come over there on our own without knowing where we’re going. It’s amazing people think that I don’t wanna work. I don’t know how they think I make a living. When I get in touch with them they say, Oh, we had no idea that you wanted to work. And I go, “What?” I wanna say I don’t have a tree in the backyard with hundred dollar bills on it. I want to work. I love singing. I love entertaining. I just want to go where my fans are. Q: There’s a song that you did that’s simply amazing. I wish they would turn the Saturday Night Live parody number, “Christmas Time for the Jews,” into an mp3? You see most people…I don’t know why, but it’s getting played more than ever. It’s so funny. I did that song about five or six years ago. We’re trying to find a way to put it in my show. We’ve been trying to figure out how to do it. You know what’s so funny – we find out over the years that it doesn’t offend anybody. The Jews love it because they say it’s so true. The writers at SNL actually wrote it. Q: Nostalgia is like the cool thing to entertain now. Have you ever thought about doing an album that’s affiliated with that classic Phil Spector production sound? We’ve tried to do that too. The fans are kinda weird. They love those old songs so much that when you try to do something else like it they almost are like offended. That’s been the hardest part of me trying to re-record it. They would say we’re trying to make another great Phil Spector. Well, I’m not trying to make another Phil Spector record. I’m just trying to make a great record. But right now we’re really looking into going into the studio and do some duets. We think maybe that would get us off the track of us trying to do a Phil Spector record. Bruno Mars is one of the people we’re approaching to do a duet with. Darlene Love’s 1998 book, My Name Is Love, has been reissued and is available in paperback form. The Sound of Love, a Sony Legacy compilation released in 2011, compiles the best of Love’s hits from the Phil Spector era and his Phillies label. Love is also featured in the film Twenty Feet from Stardom, and can be heard on the film soundtrack. Check the official website for local listings.